5000 bicycles are now available for renting in four districts of Tehran downtown, encouraging residents to ride green. Bike-sharing is relatively new in Tehran. Previously, Tehran Municipality offered free of charge renting bikes next to subway stations. However, the idea did not take off as the users were requested to deliver bikes back to certain stations before certain time. This time bikes are offered and managed by an Iranian startup, Bi-Doud, which its name means “without smoke”. Bikes are equipped by GPS and users rent them through a mobile application, giving them liberty to leave the bike anywhere in one of the four districts. Prices are around 15000 rials (0.15 USD) for 30-minutes. Criticisms however claim that the lack of bike-routes in Tehran in general and downtown in particular, may threaten the success of this project. 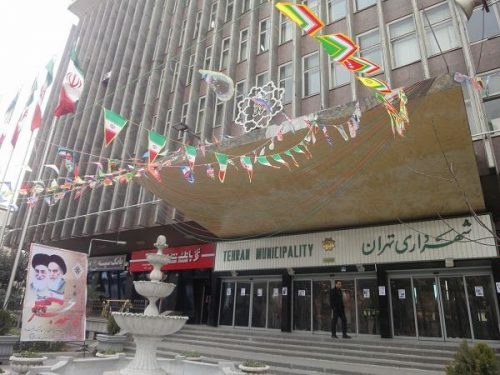 However, Mohsen Pour-Seyyed-Aghaii, the Managing Director of Transportation and Traffic Organization of Tehran Municipality, believes that once the demand increases, the infrastructure will follow. A bike-path network is supposed to be designed in Tehran. According to Traffic Police of Tehran, 70% of urban traffic fatalities happen among moto-bikers and pedestrians. The situation for biking in the capital is contrary to the subway network. The underground network for Tehran has been expanded and developed to a great extent, however, its performance is limited due to lack of enough wagons and locos. Bikes, on the other hand, are plenty, however the network is almost non-existent.